I made two cakes and used three of the layers. The cake was a success, the family all enjoyed it. 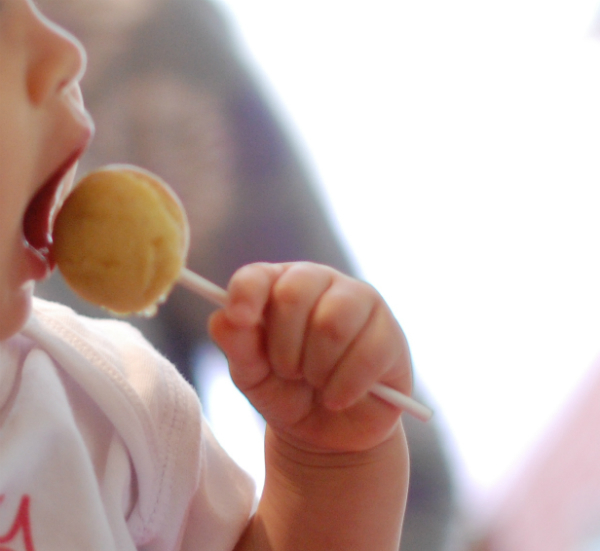 For my little niece I made some no refined sugar cake pops using a mashed banana and a tiny amount of good quality maple syrup. I was thrilled that she loved them. 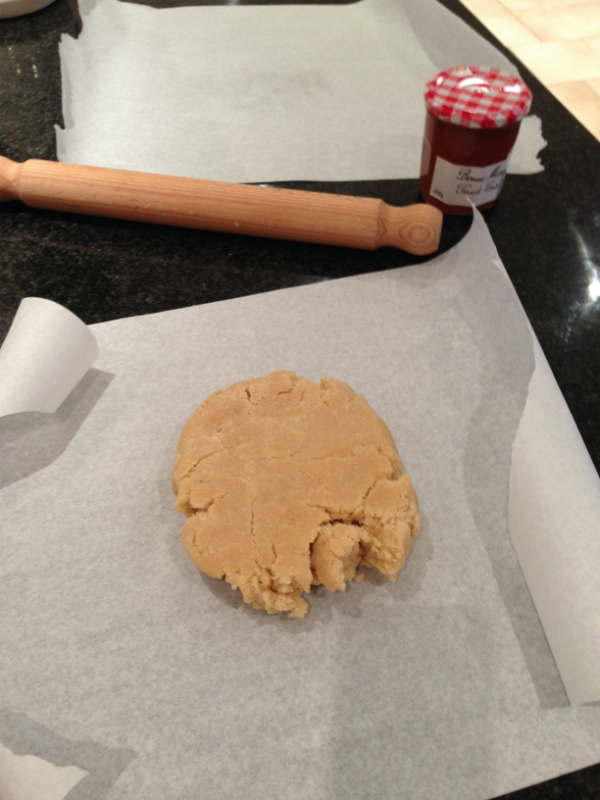 It is also The Great British Bake off tonight so I felt I should join in with the biscuit baking. 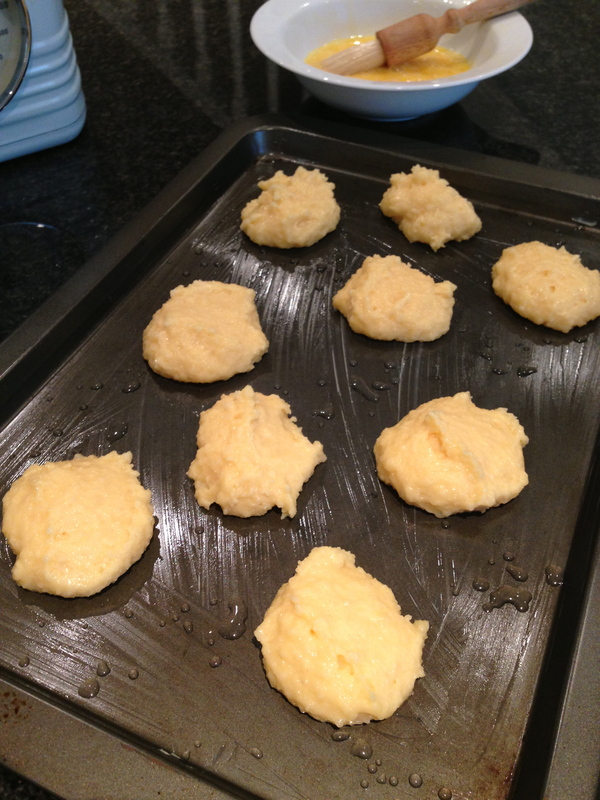 Instead of making a gluten free biscuit I decided to make a batch of grain free low sugar ones. These are not what I would describe as a true biscuit, they don’t snap or really melt in the mouth but they do taste nice and are low sugar so ideal for those who are avoiding all grains and those avoiding sugar. If I was in the bake off this week I would definitely be out in this round! I was far more focused on our family birthday party today which went really well with all the family being hopefully well fed. A wonderful family event sharing food and making lots of memories. Missing The Great British Bake Off already? Me too! 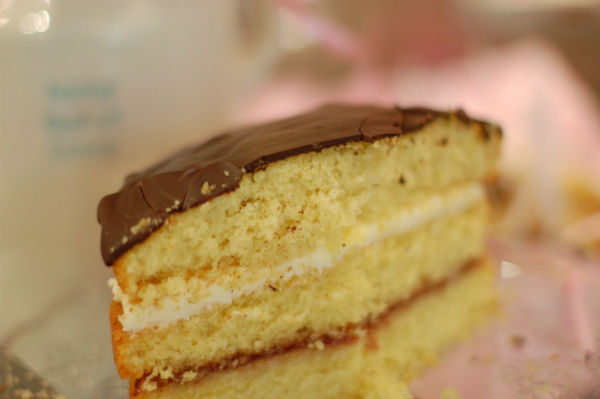 Here’s a delicious cake recipe to help you through. 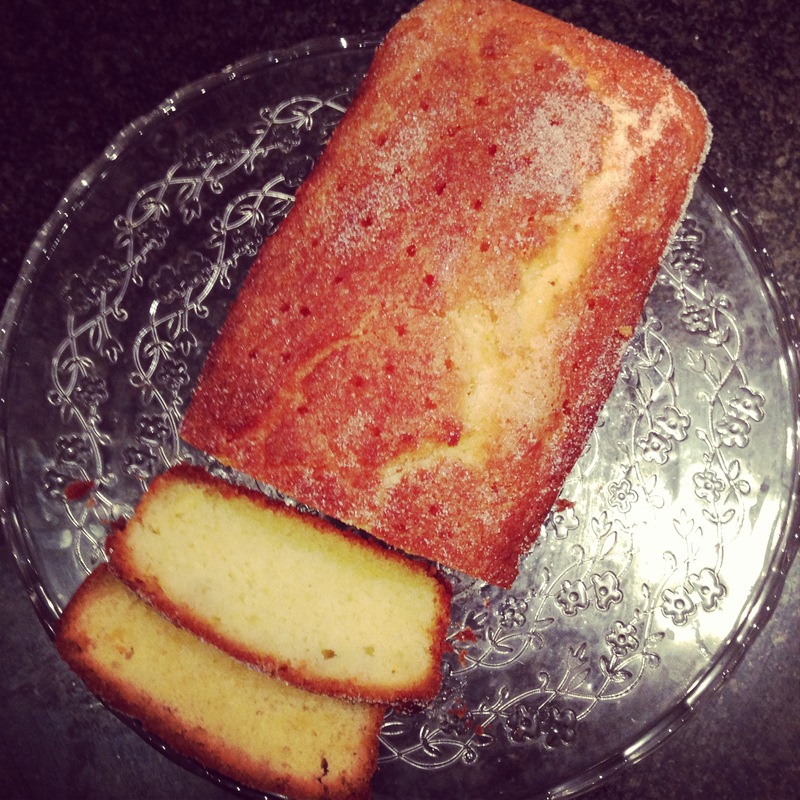 Lemon drizzle cake a classic and just as delicious gluten free. 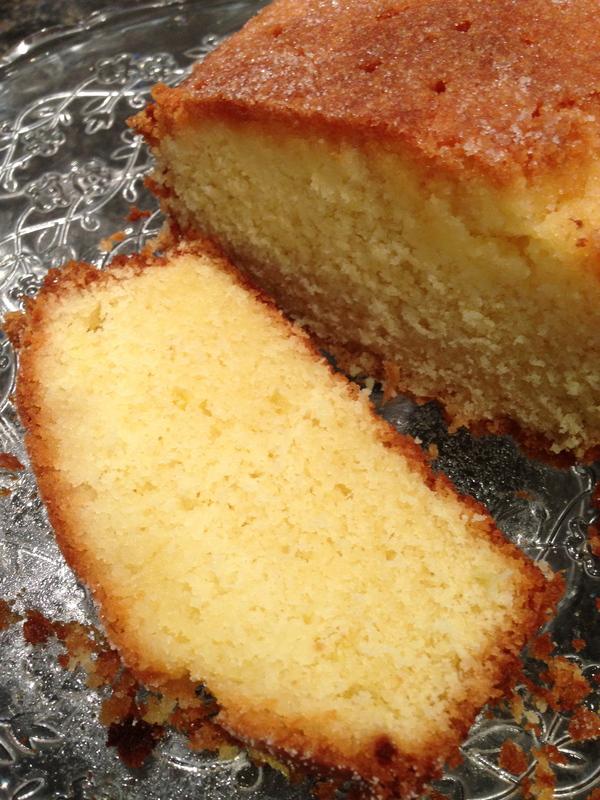 While cake is still in the tin,make holes in top of cake using skewer then pour in lemon and sugar . 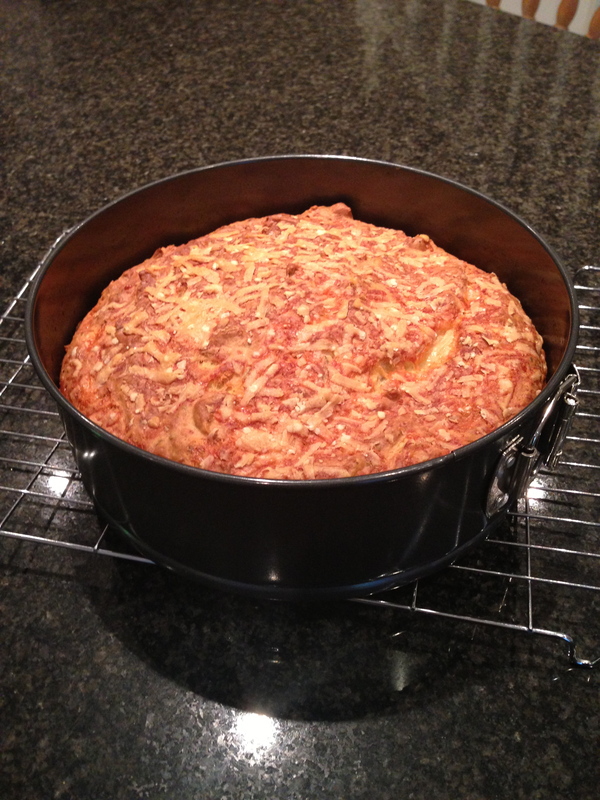 leave until cake has completely cooled and liquid has been absorbed. 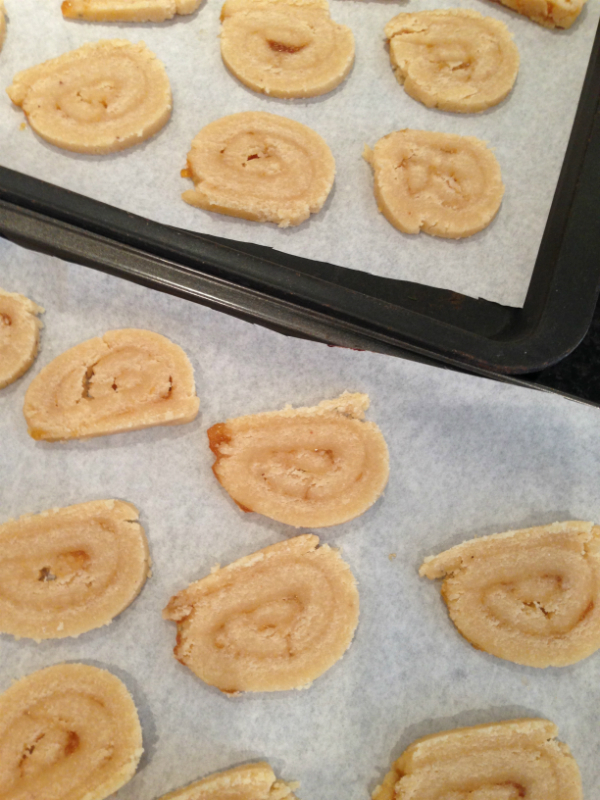 remove from tin when cooled and slice. Well The Great British Bake Off has finished for another year. 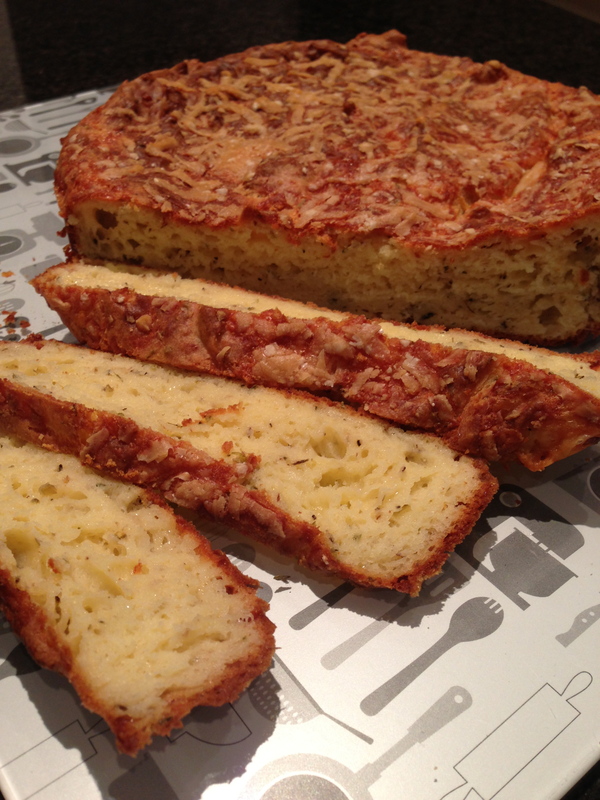 But that shouldn’t stop us continuing to bake lots of delicious gluten free and free from bakes, pastries and bread. I certainly won’t be stopping! 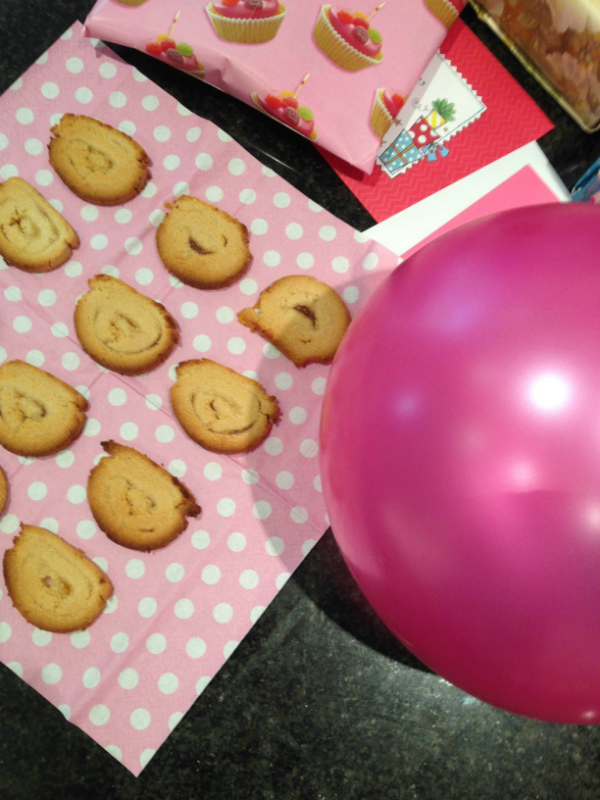 It’s the final of The Great British Bake Off tonight and as always I thought I would bake along. Today though I decided not to try and recreate any of the final bakes, instead I bow down to their greater skills and knowledge. 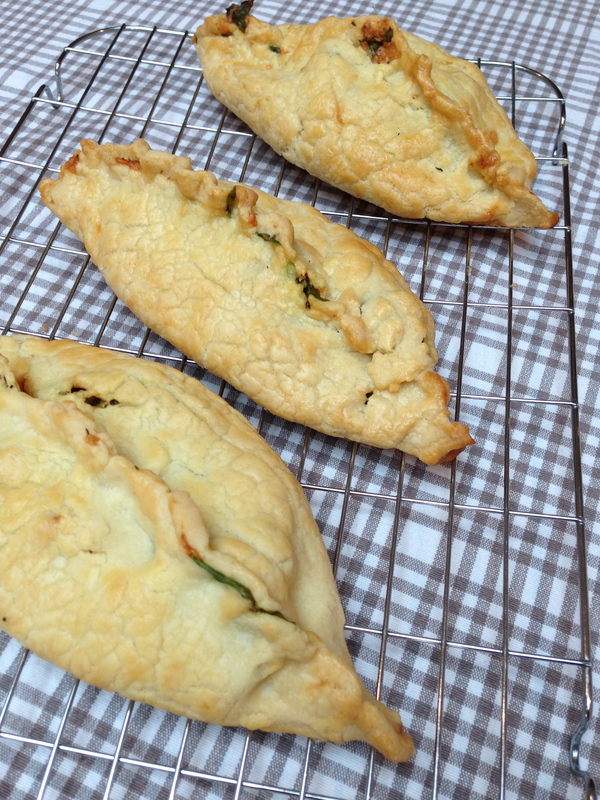 Instead I thought I would have a go at gluten free pasties as these would also make a great addition to a picnic, similar to the Picnic pie the finalists will be baking tonight. 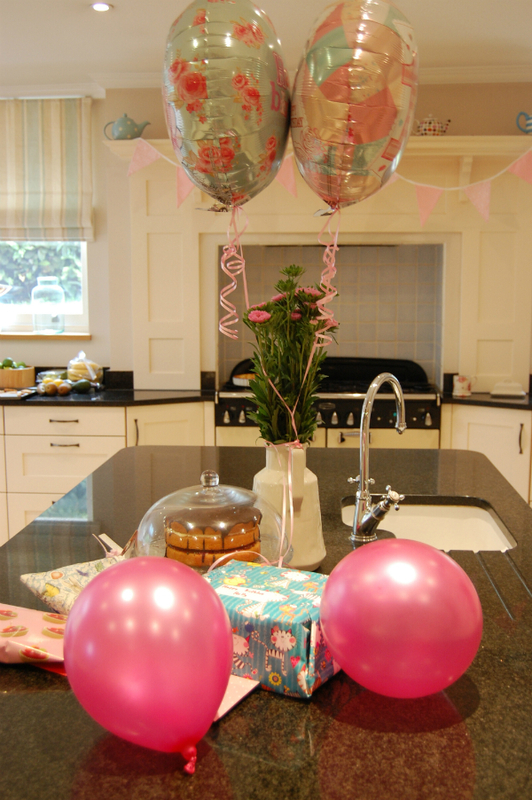 Best wishes to Frances, Ruby and Kimberley, may the best Baker win! 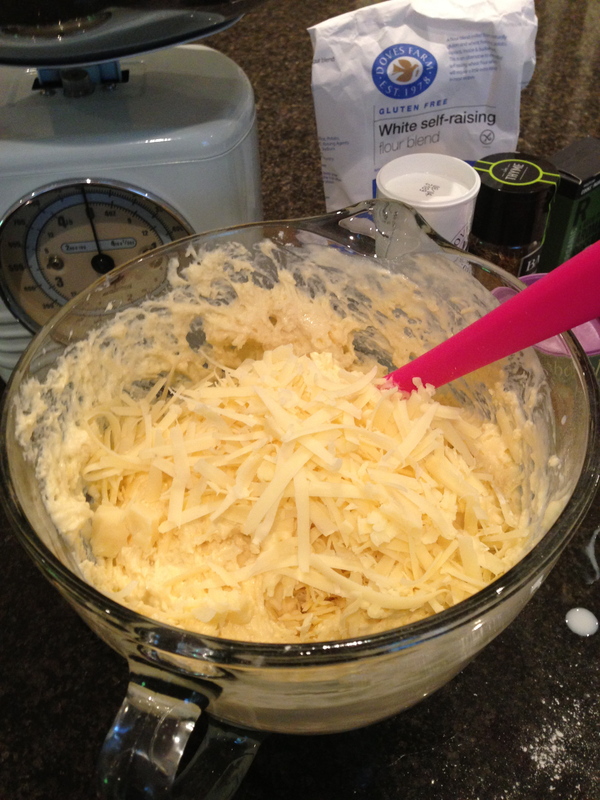 rub chopped butter into the flour and add water to bring together to a ball. roll out , not to thin or it will be difficult to handle. 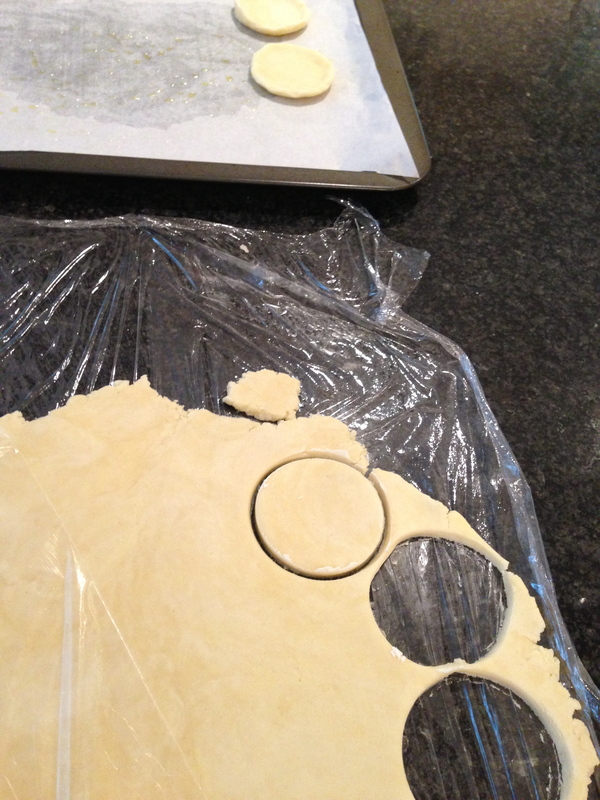 take off top layer of film and use small pudding bowl to cut out a circle for pasty. 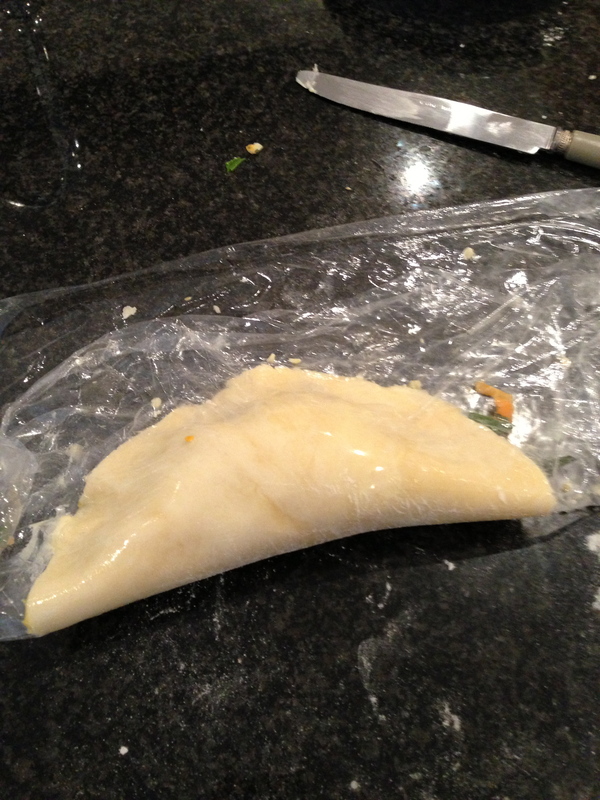 I only managed to cut one out but had plenty of leftover pastry to make a further pasty later. 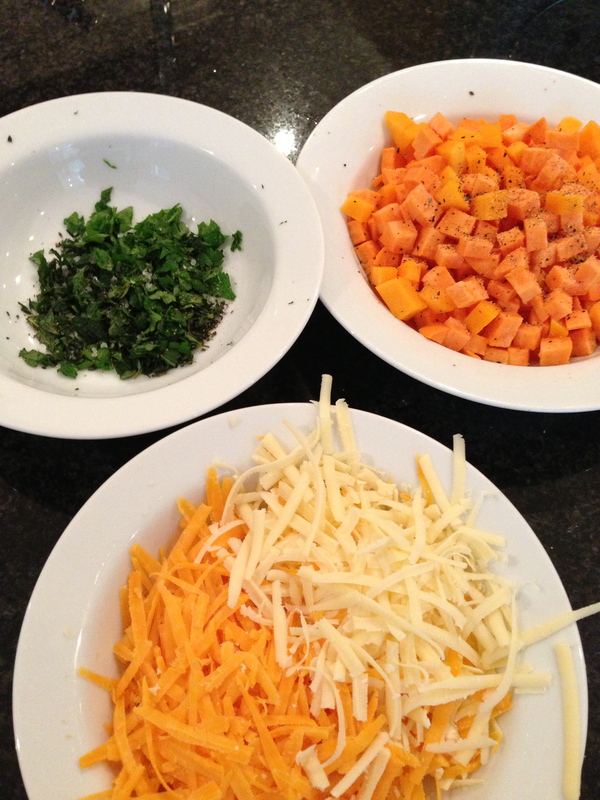 Chop sweet potatoes and butternut squash into tiny cubes add herbs, cheese and spinach and plenty of seasoning. 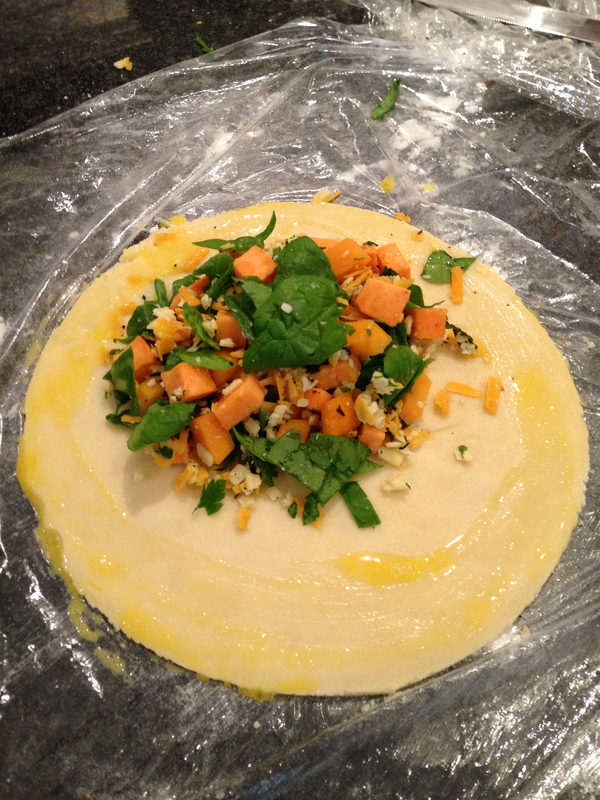 repeat with rest of pastry, and finally use the leftovers to make a third pasty. 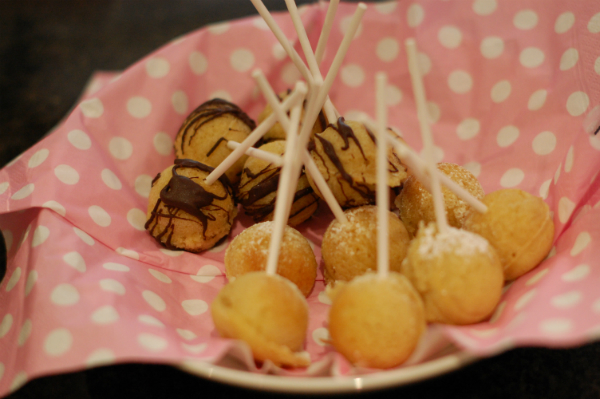 Tonight on The Great British Bake off the signature challenge is to bake 3 types of savoury canapé . 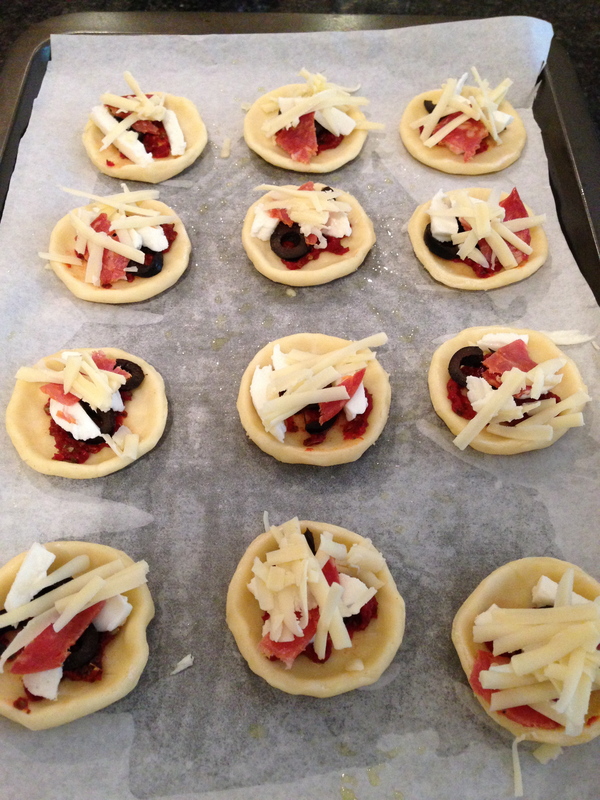 I have chosen to make a gluten free version of a Mary Berry recipe for Italian cheese tartlets. 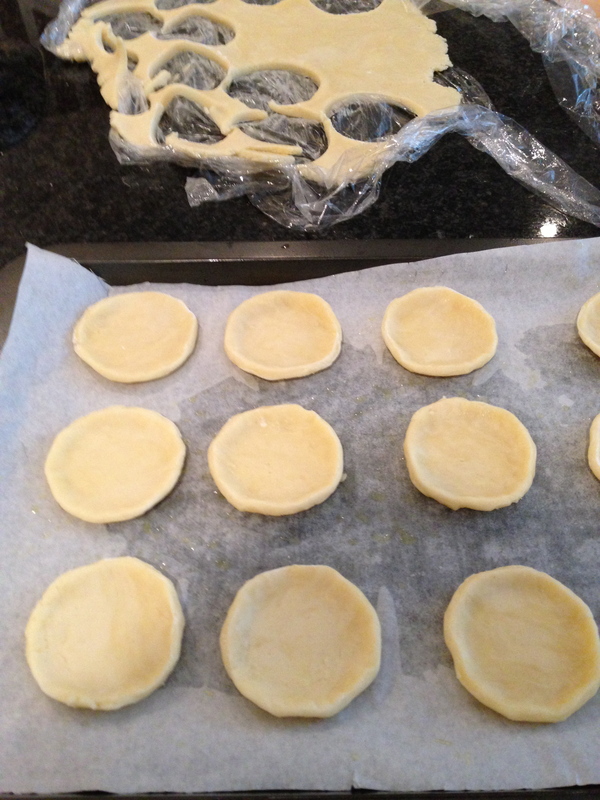 These tartlets use short crust pastry. 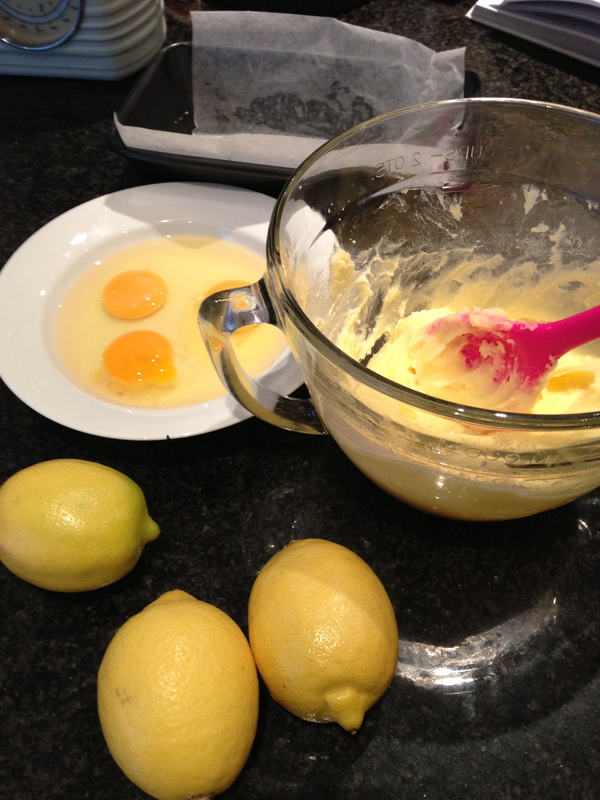 Put the flour in a bowl, add the butter. 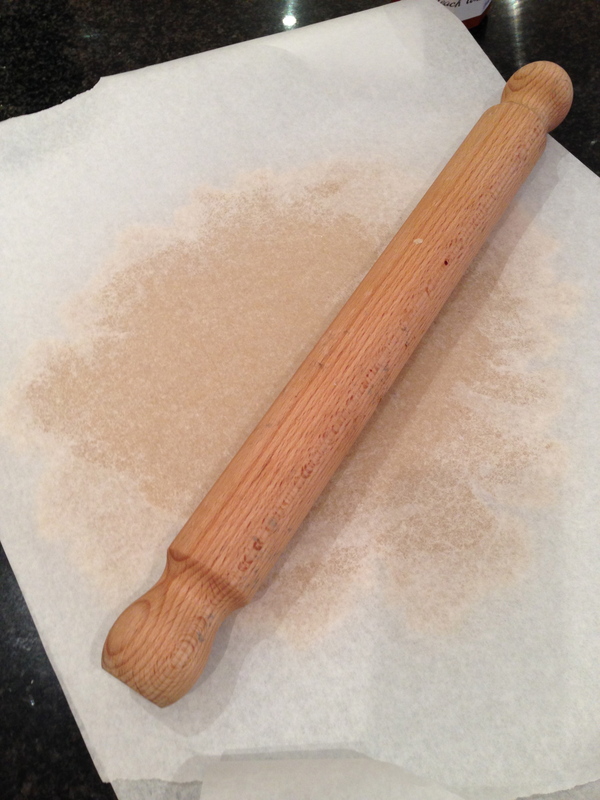 Add enough water to bring together to a soft dough, but not sticky. 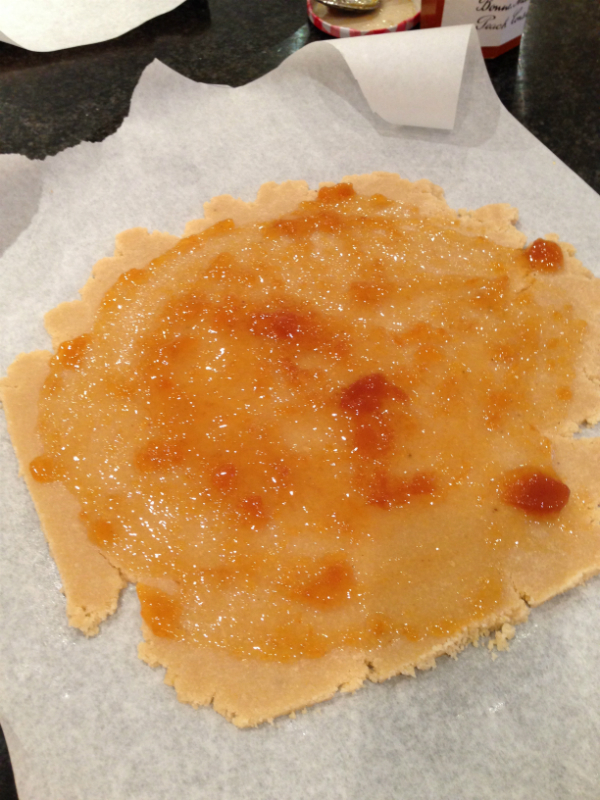 Make the tartlet shells – roll the pastry by putting a layer of cling film on your surface, put ball of dough on top then another layer of cling film on top. This makes it much easier to roll out. when nice and thin 3-5mm remove top layer of film and cut rounds using small cutter or drinking glass floured. 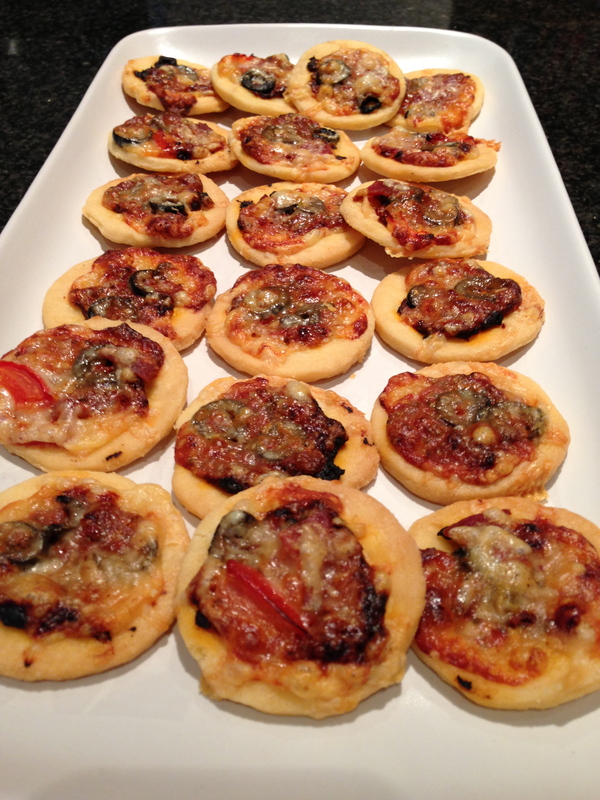 Spread tomato puree or pesto on base then add toppings, sprinkle parmesan over the tartlets covering the pastry edges. I wish I had added more cheese on mine. 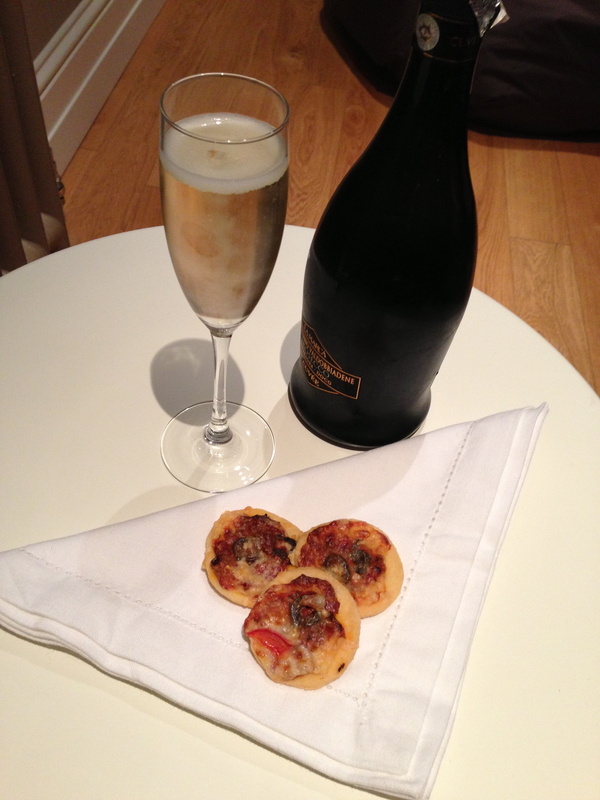 these can be served warm or cold, but definitely with a glass of something special! Well there seems to be a real buzz about tonights The Great British Bake Off. I do hope we are not disappointed. It appears the technical challenge is a gluten free pudding made by all the remaining contestants. A posh hazelnut meringue called a Dacquoise . The final challenge tonight is a dairy free Showstopper novelty vegetable cake. 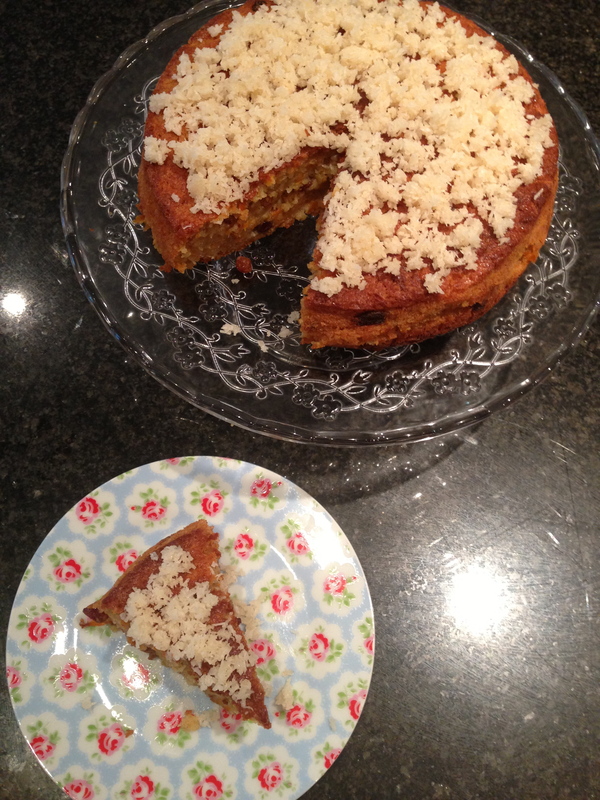 I thought I would have a go at a dairy and gluten free vegetable cake too. 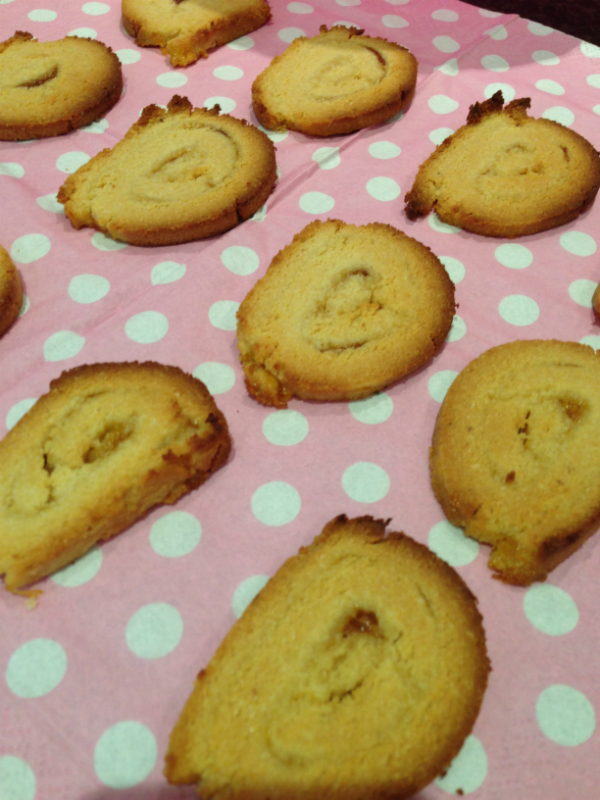 Another recipe from Hannah Miles from her book the gluten-free baker . A recipe book I can really recommend. I have just exchanged the dairy ingredients for dairy free . 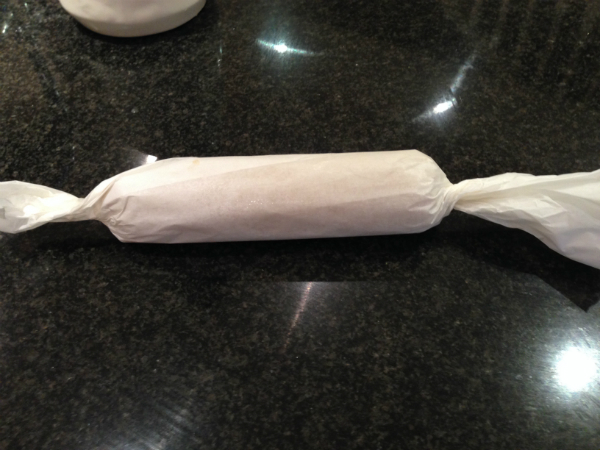 Pre heat oven to 180oC You will need an 8 inch round springform cake tin greased and lined. Add one egg at at time beating well. 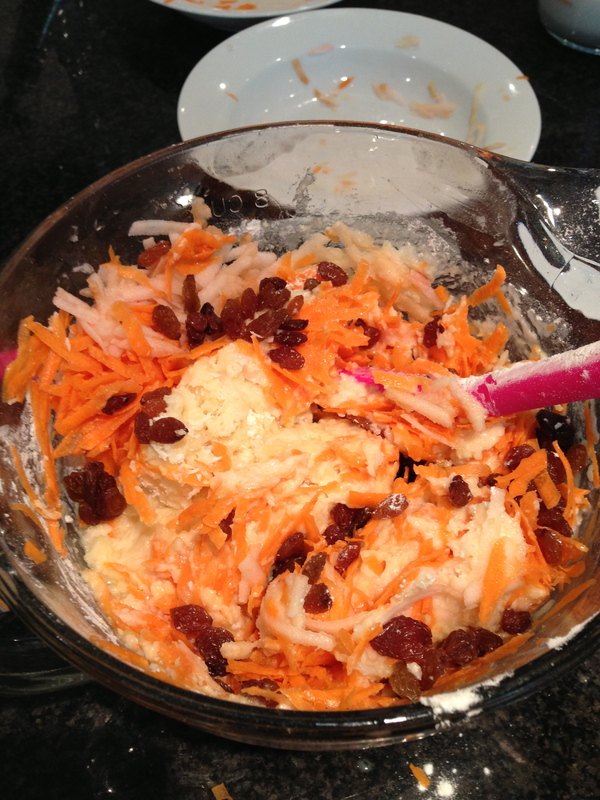 Fold in GF flour, half the coconut, grated carrots and apple, sultanas spices and coconut milk. Ensure everything is mixed together well. 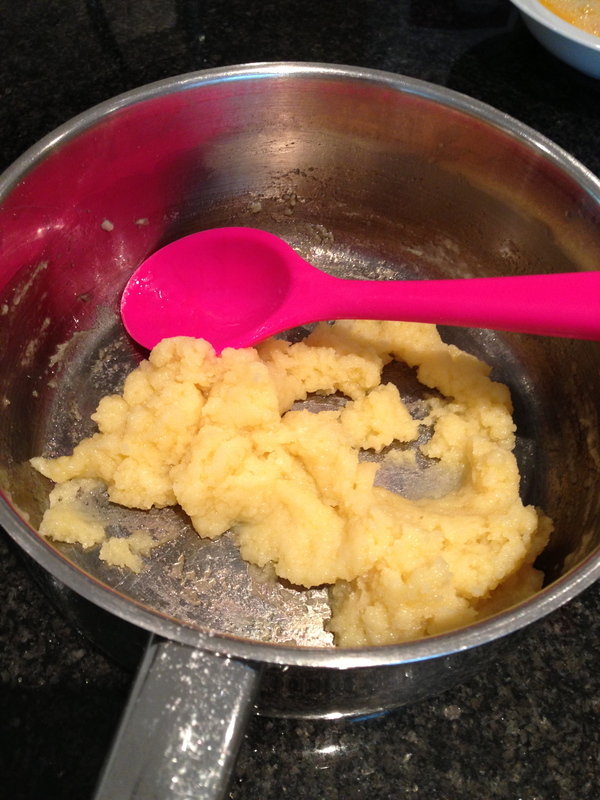 Spoon the batter into lined cake tin. Bake for 40-55 mins until golden and springs back to touch. Mine took 60 mins today and think it could have done with another 5 mins. 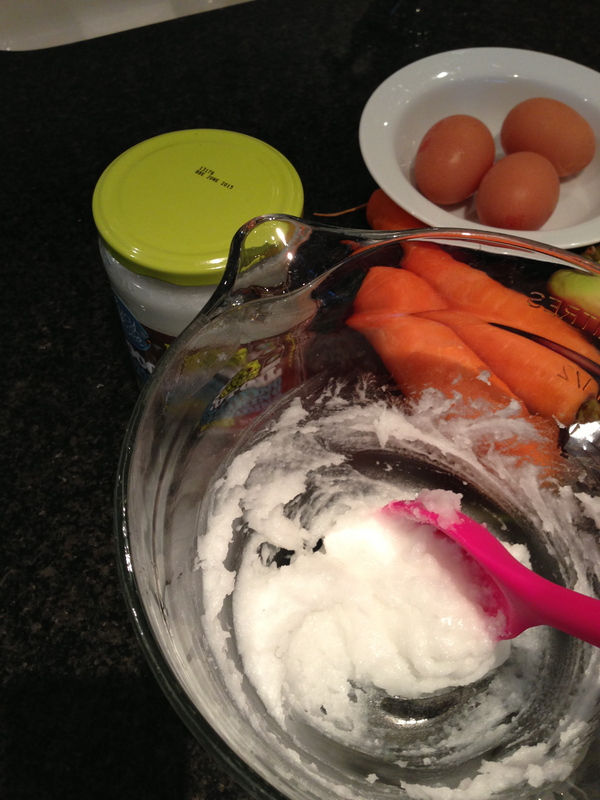 Make topping, melt the 1 tbsp of coconut oil with the ginger syrup and honey. Stir in remaining coconut and simmer for 2-3 mins until oil is absorbed. 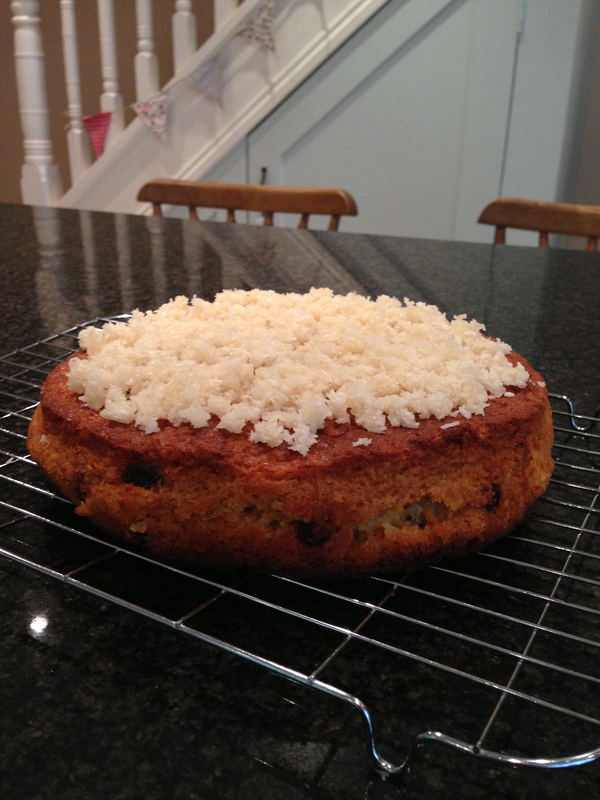 Remove cake from oven making sure it is cooked through, leave in tin for 10 mins then turn out onto wire rack. Spoon topping evenly over warm cake and let it cool. 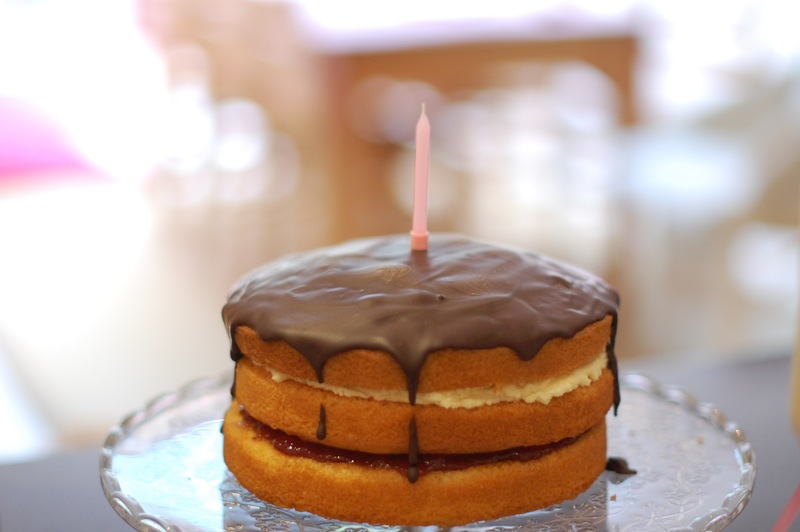 It’s no #FreeFromGBBO Showstopper but tastes delicious! Tomorrow is episode 8 of The Great British Bake off , The theme is Grandad grains, the signature challenge is to bake a loaf using non traditional flour . This may include a gluten free loaf but we don’t know yet. It may just be Spelt, Rye etc. 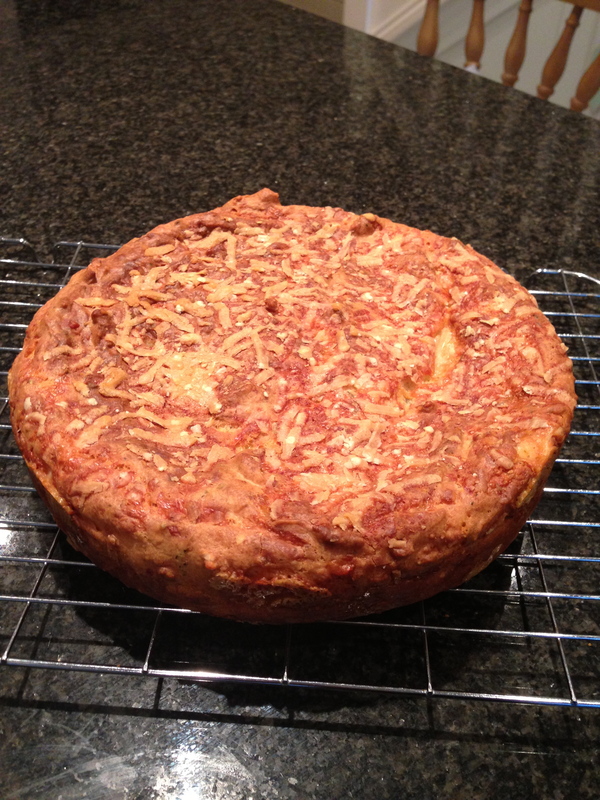 The recipe comes from the Gluten free baker by Hannah Miles. Her book is brilliant with lots of achievable recipes. 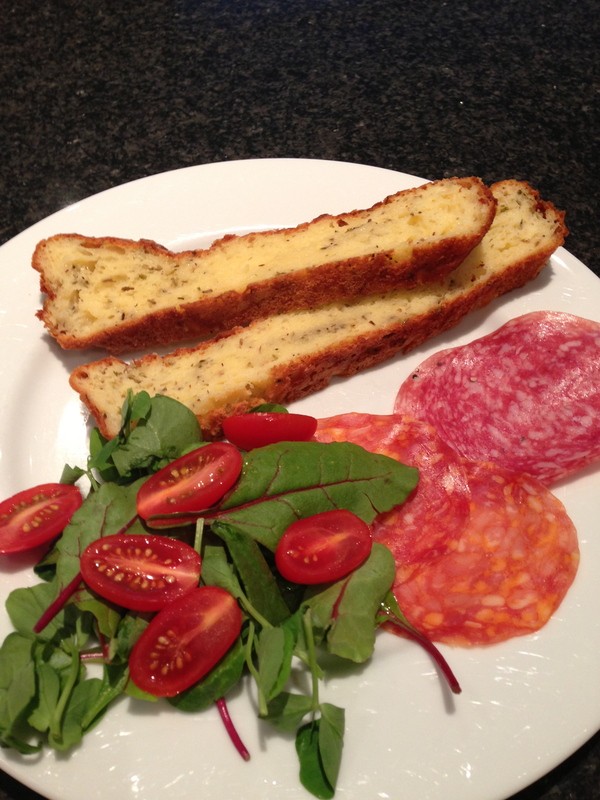 Hannah now has a new book out called the savoury Gluten Free baker. 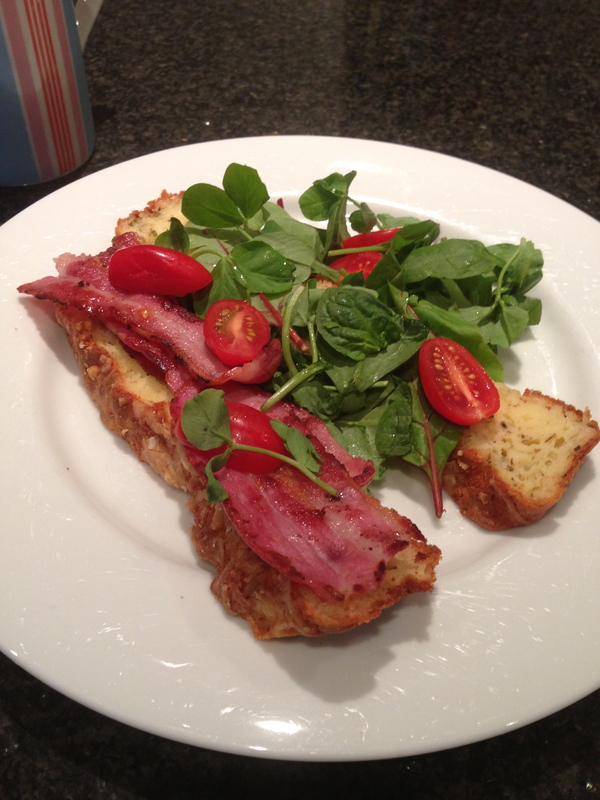 I have just tweaked this recipe slightly. Hannah’s recipe uses onion seed’s. I have chosen to use herbs. 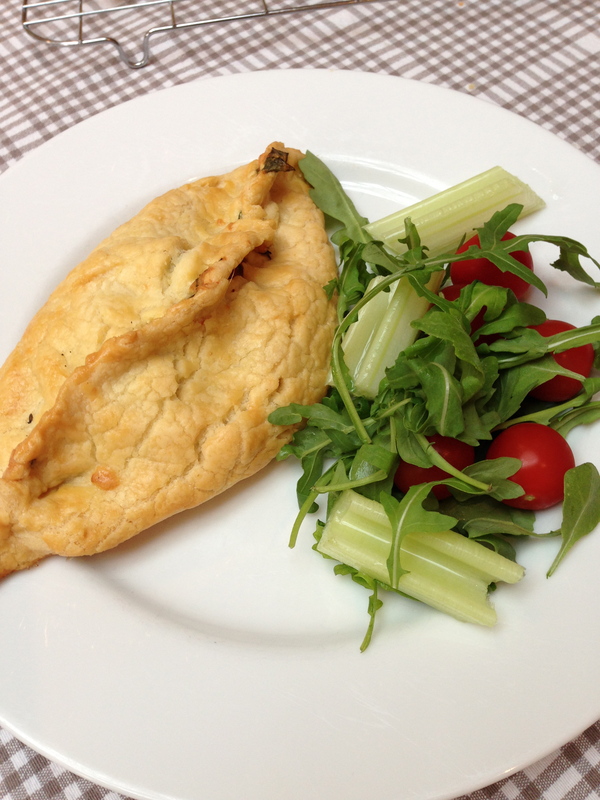 Fold in cheddar and Gruyere cheese and dried herbs. 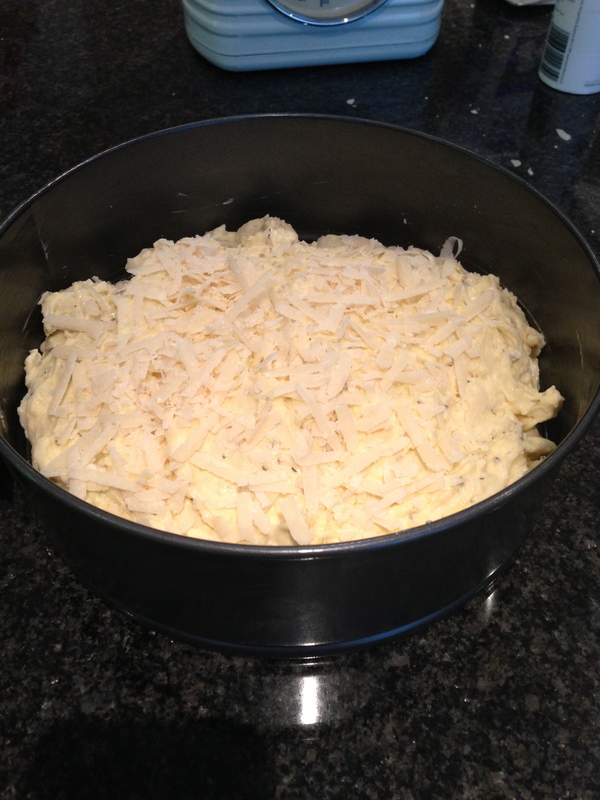 Spoon into lined greased cake tin and sprinkle the parmesan cheese over the top. cool for 5 mins in cake tin before removing and cooling on a wire rack. 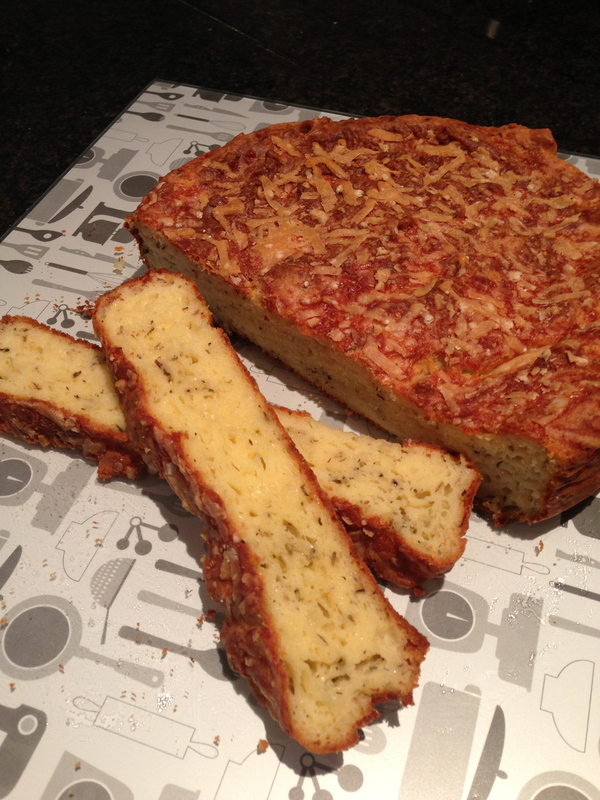 Slice and enjoy with some delicious butter. makes a delicious bacon sandwich! 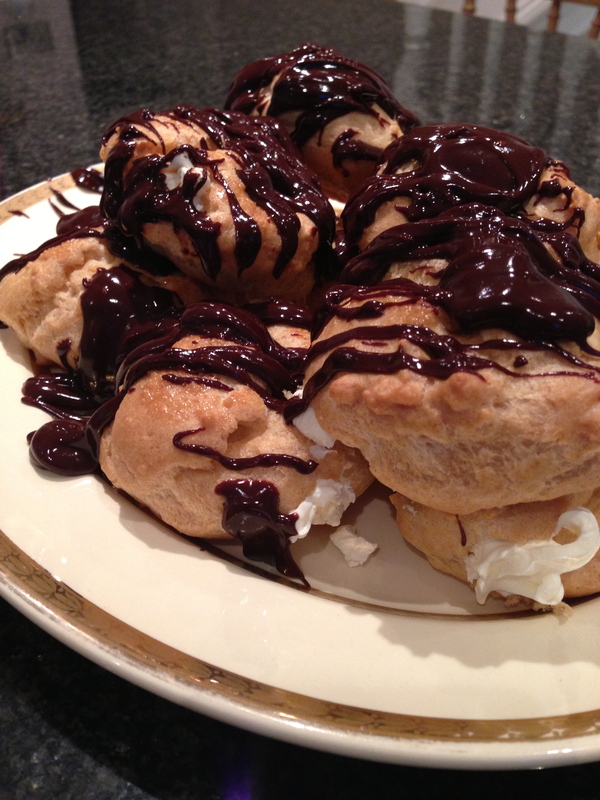 Tomorrow is pastry week on The Great British Bake off so I thought I would have a go at making a gluten free version of Choux Pastry and make chocolate profiteroles. gluten free dark chocolate or milk chocolate if you prefer. 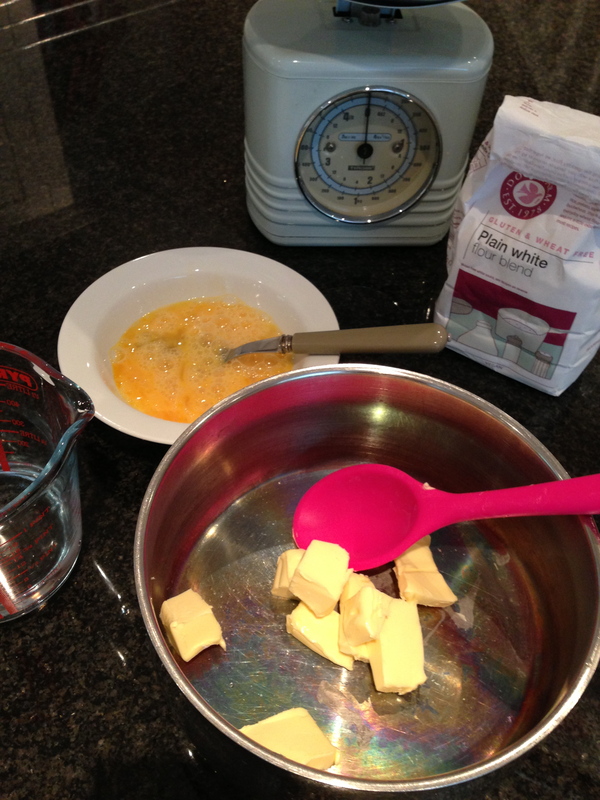 I started with 60g unsalted butter and 150ml water. 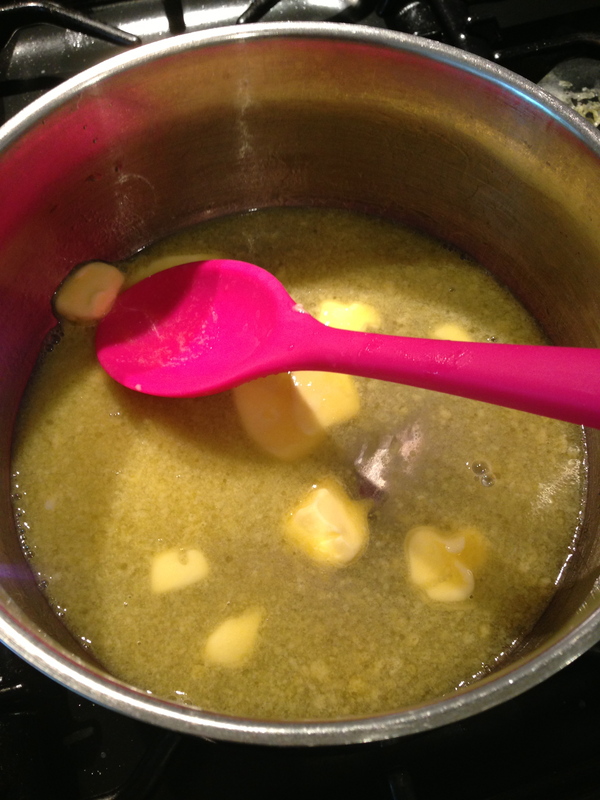 I heated these until the butter melted and the water and butter mix started to boil. Leave to cool before gradually adding 2 beaten eggs. A great deal of elbow work is now needed to form a smooth paste, don’t give up! hard work but it will be worth it. Spoon mixture onto a buttered baking tray. I also sprinkled a little water on to the tray too. which is supposed to help producing a small amount of steam. 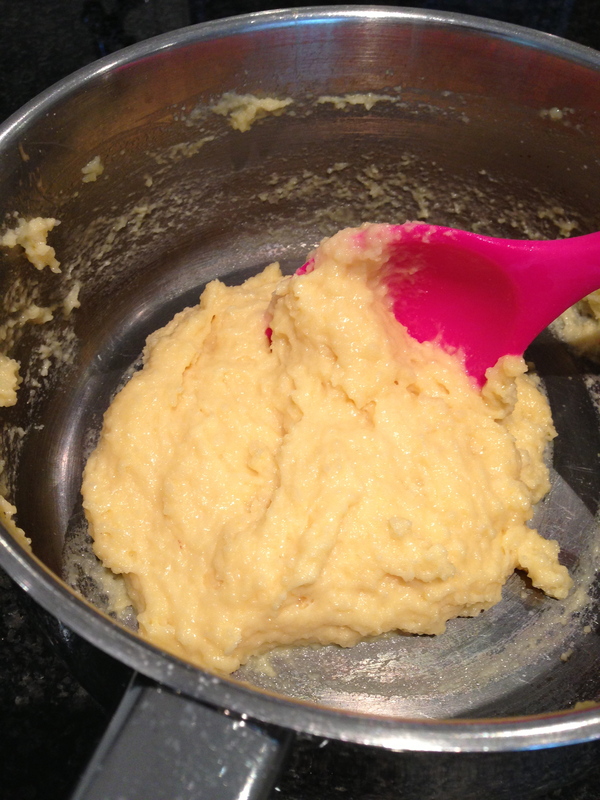 I used a pastry brush to egg wash the top of the choux buns. I made 9 large choux buns. The tray goes in a pre heated oven 220c for 10mins then I turned the heat down to 190c for the final 20mins until golden brown. 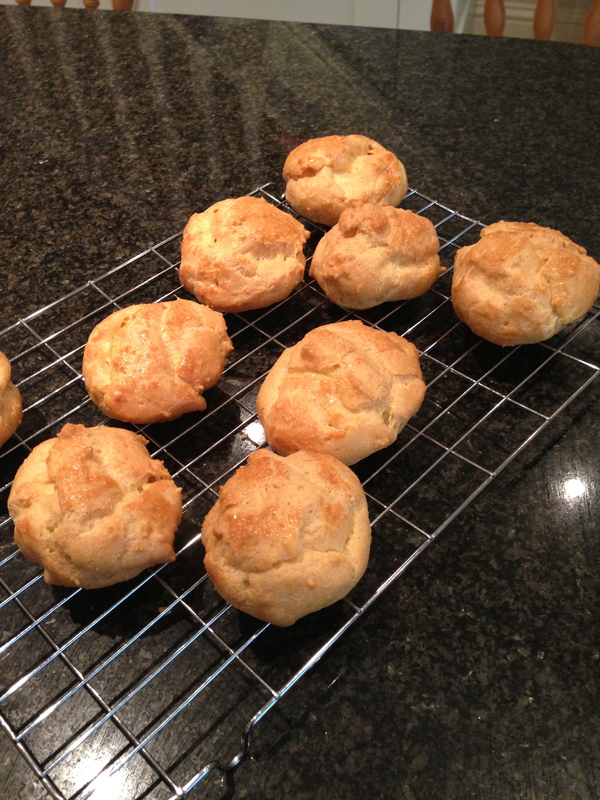 I cooled the choux buns on a wire rack ready to fill . The plain profiteroles can be stored in an airtight container once cooled to use later. I used some gluten free chocolate with 1 tsp of honey and cream to make the chocolate sauce. I melted the 85g bar of chocolate then added 2tbs of thick double cream and 1tsp of honey. 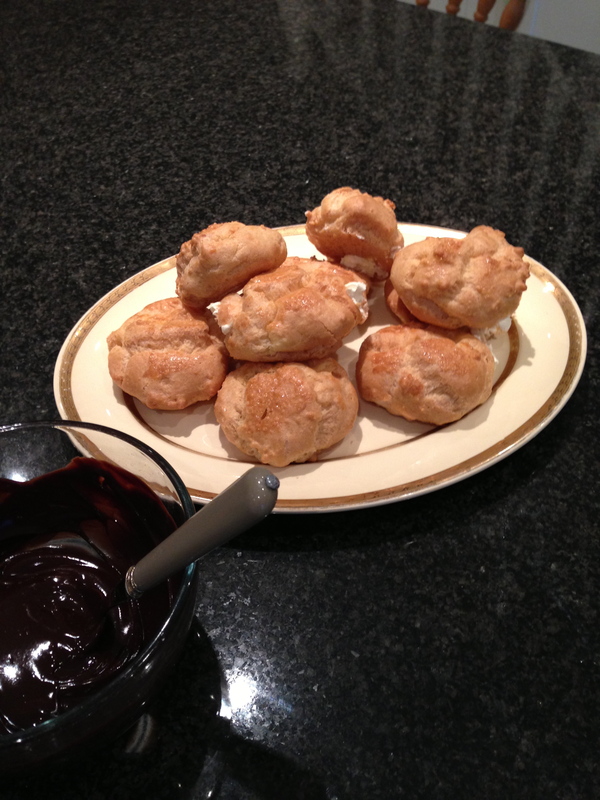 If you are using very dark chocolate I just melt the chocolate and drizzle over the profiteroles. Perfect if you are trying to have less sugar in your diet. 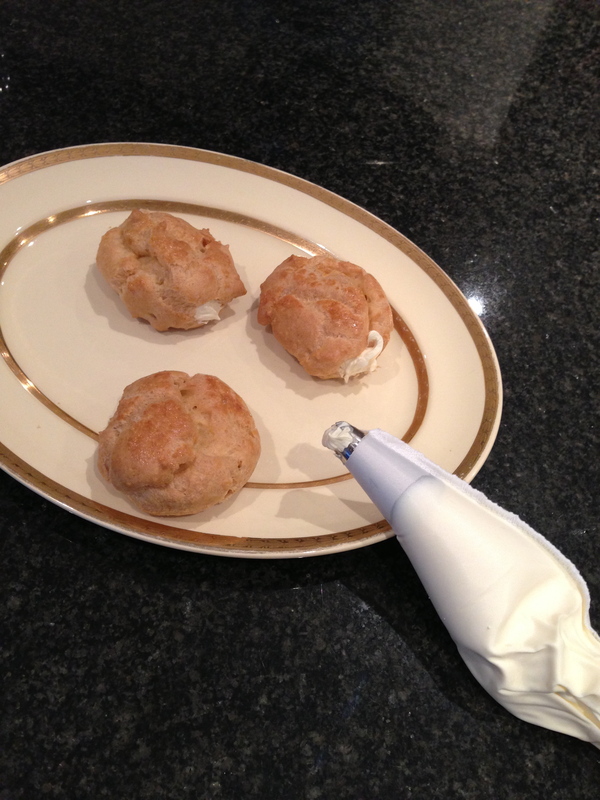 Once the choux buns were completely cooled I made a hole in each one and piped in extra thick double cream. 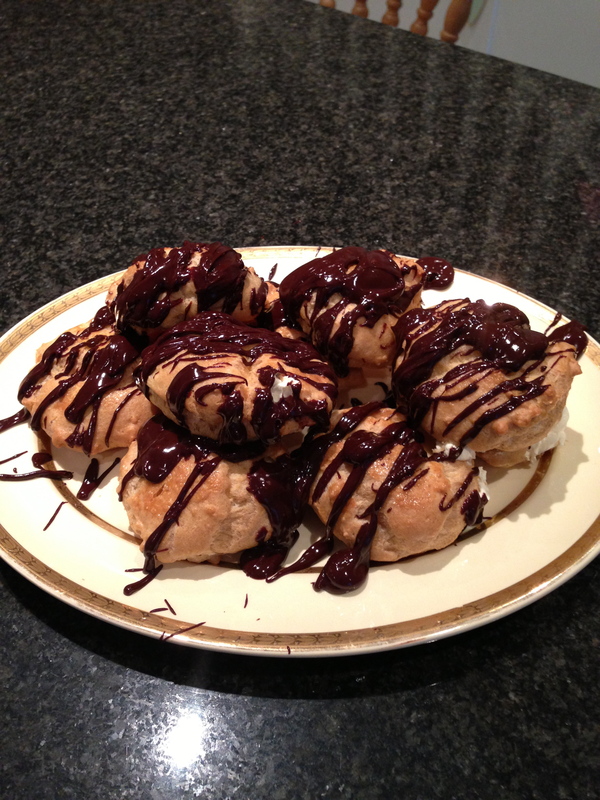 If you don’t have a piping bag, slice profiteroles in half and fill with cream. Then it was time to add the chocolate sauce. I always thought being gluten free would mean I could never have treats like this again. I’m so glad I was wrong. 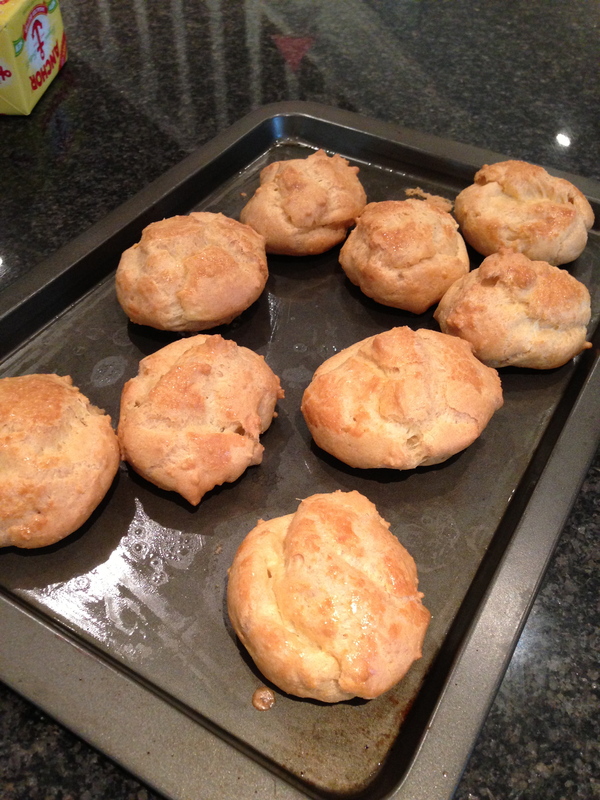 The choux pastry was more tricky than some other pastries but not impossible. 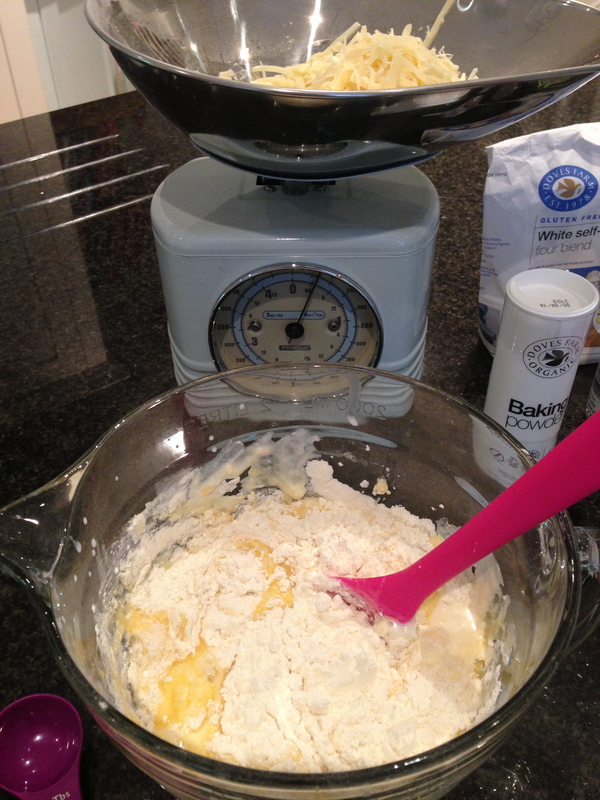 I have started using my food processor to mix my profiteroles, which works very well and saves your energy!